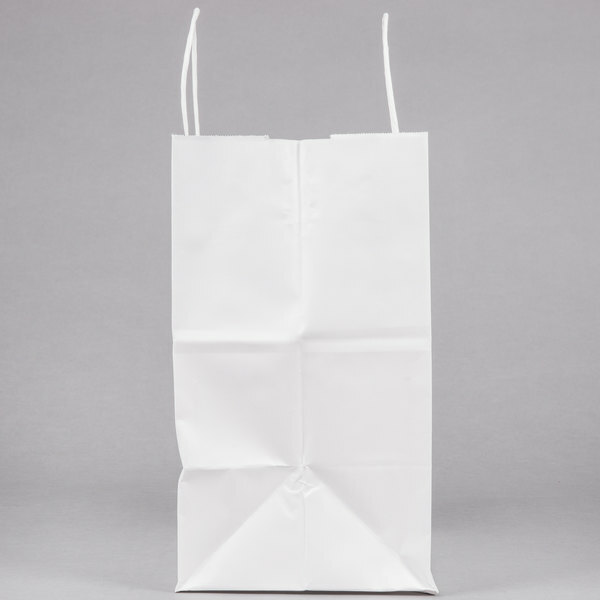 Made from durable white paper, these Bistro shopping bags are a simple way to provide convenience to both you and your patrons! 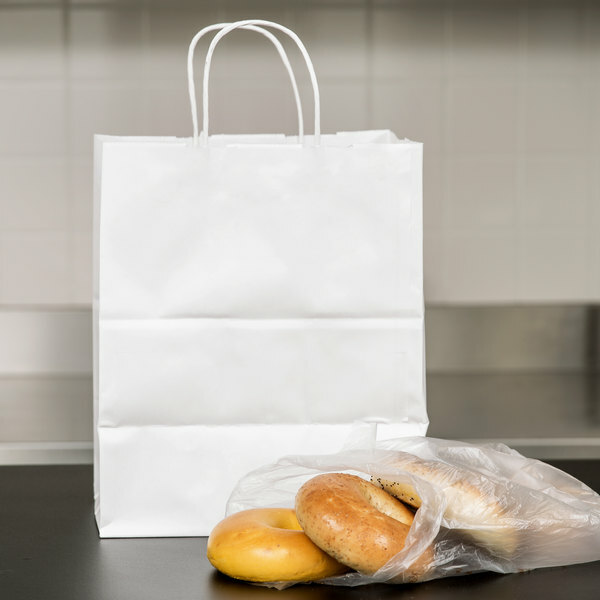 The sturdy twisted handles make all purchases easy for customers to carry while these bags' rectangular foundations allow them to stand alone for fast and easy packaging. Wonderful bag for take out orders, gift shops, and coffee shops. These fit a lot and are very strong. Handles are reinforced and we haven't had any rips. Nice clean color that you can personalize as well. Great bag. Sturdy havent had any rip yet. Fit 3 togo boxes comfortably without being obnoxiously large. Finally a winner to our togo bag/togo box dilemma. 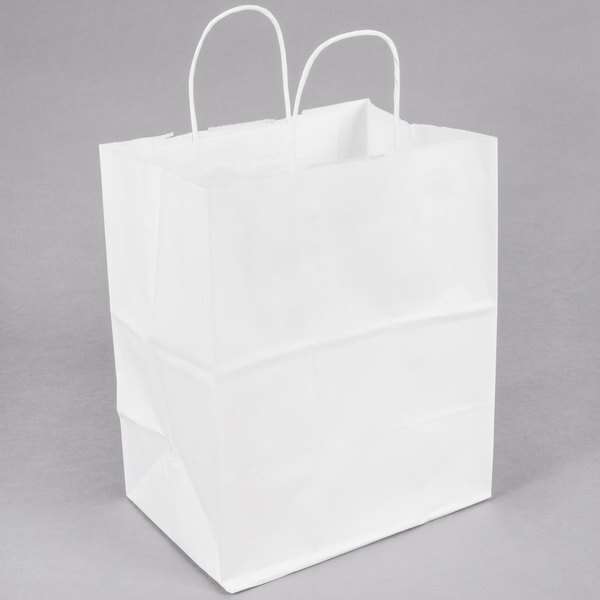 Our cupcakes and other fragile packed items can be carried in this bag with it's flat bottom and sturdy handle. Customers love them, too- they feel like they're getting a gift bag. 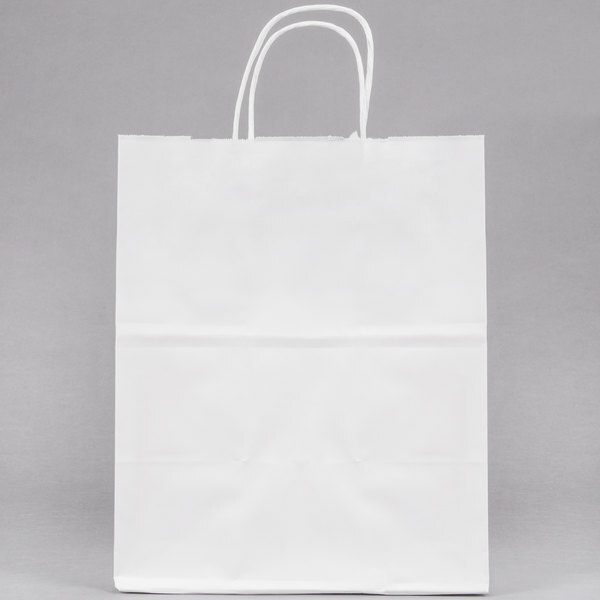 These bags work great for our candy shop when we have someone purchasing lots of Items.They look nice and are strong.We put our company stickers on them and can spot them across town.